Posted on July 30, 2018 at 5:01 pm. What has been the high-level business impact of social media in the Middle East? 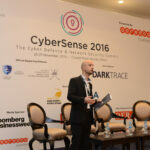 Social media has had the biggest influence and impact on the Middle East by all means. 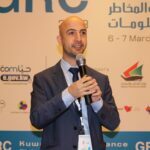 However, at first, the Middle East region, especially the Gulf and Arab countries were not ready for the concept of two way communication and had a more passive approach in this aspect: communication only led by governments and big companies. More Job Opportunities: in a region where we use to have a high level of unemployment, social media penetration has created more opportunities for lots of people is different sector including graphic design, community management, content generation and much more. Impact on big businesses: Previously, big companies had their freedom to do what they want and customers had almost zero impact on them. Now we all know that big companies use social media monitoring and listening, and they do sentiment analysis to check the customers feedback. In fact, instances such as the Pizza Hut Kingdom of Saudi Arabia (KSA) tweet during International Stuttering Awareness Day (ISAD) lead most of its customers to shun the brand in KSA. 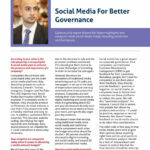 How can social media act out to provide contingency against a firm’s downturn? Can you state an example? Social media has a lot of advantages—one of them is that it can provide companies a contingency plan against any downturn. Social Media key benefit is that it can offer a direct ROI (Return on Investment) and big exposure to target audience in less time and effort. How has social media influenced expansion of customer database and customer retention for companies in the Middle East? 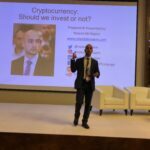 One of the main objectives from using social media is the expansion of customer database and data base retention and this is done a lot in the Middle East. 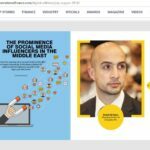 From our daily use of social media in the Middle East, we notice that lots of pages and companies request their followers to provide them with personal information. (Name and contact details is essential). And this could be done in a direct way or in an indirect way. The issue revolving Cambridge Analytica was primarily due the amount of data being collected, and the big question is—how did they do this? We perceive several applications as a source of entertainment, where they ask users to play IQ test games or sometimes, even personal questions. And all those apps request access to users’ private information and the data is used to expand the customers’ database in an effort to target them better. As for customer retention, this is mainly done using two-way communication that social media facilitates: where it allows companies to solve customer issues and to provide responses. However, this is mainly done using social media monitoring and listening—where big companies listen to what people are talking about their brands and facilities and try to analyse if the conversation is position, negative or neutral. This is called sentiment analysis, which is focused on increasing the percentage of positive feedback in order to have better reviews from their audience. Can you explain the significant role of influencers in a firm’s social media strategy? This is one of the biggest topics to discuss, but first, it is important to understand influencers and how to identify them. Not all social media users, who have outstanding number of followers are influencers. Therefore, it is essential to identify influencers who are real and who they are. For argument’s sake, let’s say I live in Kuwait and a certain influencer have 1mn followers, so what if 90 % of those followers are from Egypt? And the final question to be asked here is what is the percentage of engagement with followers. We need to identify on which platform the influencer can influence people. If this influencer in powerful on instagram, but the target audience are on twitter—the end goal is futile. Secondly, we need to identify the topics they are influencing. An influencer can be influencing areas in politics, sports or religion. After identifying the right influencer for a business, other factors also come into play: such as the role of influencer in endorsing the brand. How do influencers take lead in driving a firm’s marketing strategy? Can you state an example? An influencer’s role in driving the marketing strategy can impact the company in a positive and negative way. 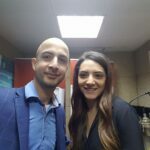 For example: Ola Alfares is a Jordanian Influencer and public figure very well known in the whole Arabic world and the Middle East due to her experience in the Saudi TV MBC. She has 4.3 million followers on instagram and the rate of engagement is very high. Ola is the brand ambassador of L’Oreal and she was a great added value for the French company in the Middle East. Their sales and ROI have exponentially increased after she started working with them because of her reputation and how people are influenced by her. On the other hand, Ola faced several challenges when first she gave her opinion on Twitter about KSA that was misunderstood. As a result, she faced a lot of criticism while encouraging all L’Oreal brands to dismiss her. In this case, we can notice clearly that an influencer and a brand ambassador can boost businesses to a large extent and pay the price for any “mistake” the influencer makes. Has concerns over data privacy affected only social media users or even firms that drive marketing strategies on the platform in the region? To be very honest, concerns over data privacy should have affected social media users and companies at the same time. But what we have witnessed here in the Middle East is that social media users were shocked by the news on data leak from Cambridge Analytica and other news mediums. But the thing is that people continued to user social media in a very normal way. We didn’t witness any extraordinary number of users close or deactivate their social media account. This is justified by the fact that people are becoming addicted to social media and social networking in a way that they are willing to compromise their personal data. How will concerns over data privacy infect companies’ marketing strategies? In my opinion, concerns over data privacy for companies started to rose after Facebook and other social media platforms where they changed their terms and conditions and in a way minimise the ability to take their users data. However, social media is here to stay and two-way communication will continue forever. We might see the rise of new social media platforms and the vanish of other platforms but the concept will remain forever. 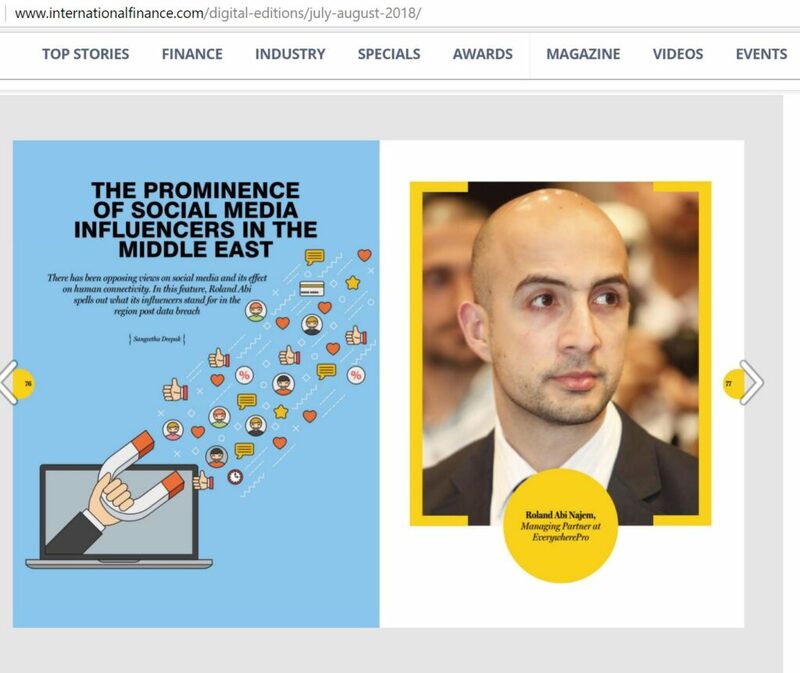 Have companies in the Middle East become less reliant on influencers since data breach issues? The mindset in the Middle East is totally different. People here are affected and addicted to influencers. 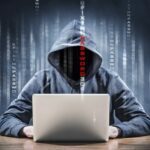 Most of them believe they have nothing to hide, and therefore are self-assured think they are affected by the data breach issues.